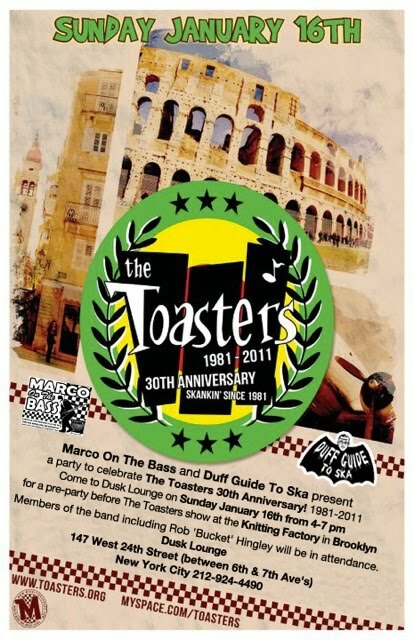 To help celebrate the kick-off of The Toasters' 30th (!) 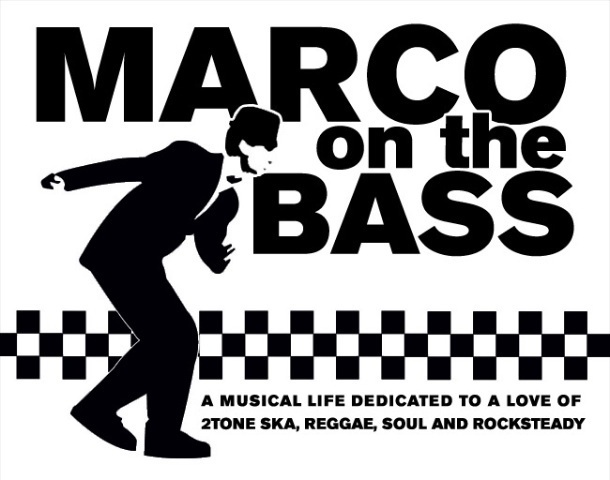 Anniversary Winter Tour of the U.S., Marco on the Bass and Duff Guide To Ska are co-hosting a pre-show party for their NYC gig this Sunday afternoon (1/16/11) at the Dusk Lounge in Manhattan (click on the poster above for all the details). Bucket and other members of the band will be on hand--and DJ Duff Guy will be at the helm of the Fat Albert Sound System, which will be pumping out an awesome mix of vintage ska, skinhead reggae, 2 Tone, and modern ska (and word has it that Sammy K from The Forthrights will also guest DJ a bit, and preview tracks from the band's recently released 7"). So get yourself down to the Dusk Lounge in Chelsea (24th between 6th and 7th Avenues) to hang with Bucket and the boys this Sunday afternoon from 4:00-7:00 pm. Then, catch the L train to Brooklyn for The Toasters gig at The Knitting Factory that night with Royal City Riot, The Rudie Crew, and DJ Agent Jay. The venerable New Yorker even profiled the band's show so you know its a momentous occasion. Here are The Toasters' dates for their 30th Anniversary winter tour of the US. Make sure you see the band and raise a pint or two in Bucket's honor! Andrew and I will be at the Toasters show with friends, and I'm trying to convince them to meet up at Dusk first. See you there Marc! Hi Rick! Hope you all come by. Hoping to compare some notes with you about the upcoming LISF.